I’d like to think I’m not a church newbie. Although I didn’t grow up in the church, I’ve been pretty involved in several local churches over the past eight years. 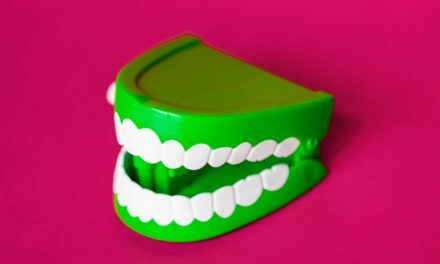 I know most of the churchy lingo and am sometimes guilty of using it myself – guilty of foregoing simplicity for Christianese. So I was surprised when during a recent church visit, I found myself totally clueless after one of the stage announcements for an upcoming class the church was holding. It was a brief announcement and the call to action was clear, but the description of the class was very vague and used several “insider” words. Clearly I was missing something. After service I asked a staff member to help me understand. The explanation took more than few minutes, and even then I didn’t quite understand what to expect or if this class was for me. Albert Einstein once said, “If you can’t explain it simply, you don’t understand it well enough.” There is a bigger picture to even the most complex message, and that’s what we need to seek out. A class or initiative at church may have many levels and parts, but as church communicators, it’s part of our job to help our congregation understand what we’re saying well enough to make decisions and act on it. If they don’t understand it, they won’t act on it. If it takes too long to explain, they will mentally check out before you’re finished. It’s part of our job to help our congregation understand what we’re saying well enough to make decisions and act on it. 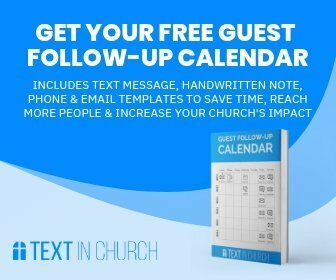 Most churches have dozens of ways in which to communicate with their congregation and community. There’s print, the website, social media, video, and live stage announcements. But more important than the medium you choose is what you say. How many times have you heard someone in your congregation say they weren’t aware of that important event that happened at your church? The one you talked about for weeks from the stage, printed in the weekly bulletin four times, and posted on the church Facebook page. It can be discouraging to hear this, especially when you have a role in getting the information to the right people. Although you’ll probably never have a 100% success rate, there are a few things you can keep in mind that will help. Keep it short. If you’re posting an announcement in the bulletin, be clear and concise. Say who the announcement is for, what it is, and what you want them to do. It’s okay to leave a little white space. For announcements from the stage, be mindful of the time. If it takes 2 minutes to talk about a new class you’re offering, you might need to revisit what’s being said. Choose your words wisely. Chances are you have at least a few new guests visiting your church for the first time each weekend. Speak with them in mind. It’s possible they’ve never stepped foot in a church in their life. Use language that anyone with any church background would understand. Avoid using things like abstract ministry names or abbreviations, churchy words, or anything else that would leave a newcomer feeling left out of the conversation. Understand the why. Whatever your role in church leadership, you should understand why your church does what it does. 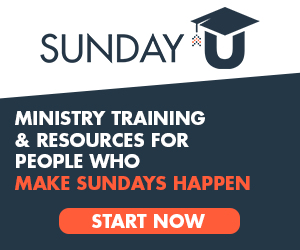 What’s the vision behind this new ministry? What’s the bigger picture for why we support missions? When you understand why, you can sum it up more simply. You have more influence than you think in whether those with whom you have influence get on board with things. Personal relationships and opinions are huge. Don’t try to entertain. I love it when churches find creative ways to communicate. Bringing in visuals and video helps you to say more with less, often in a more interesting way. But there’s a fine line between using a creative medium to support a message, and using the message as a reason to use a new song or technique you’ve discovered. Just keep it simple. If creating a video will help you better promote your Kid’s Camp, then go for it. But if the visuals or humor are overpowering the main message, stick to what keeps the main message the most important thing. Your goal is to get the message across, not entertain. Your goal is to get the message across, not entertain. Complicated processes reduce effectiveness. Another barrier that can keep your message from being heard clearly, or at all for that matter, is your method of delivery. Do you send your congregation an email newsletter that forces them to click a link to get the important information? Or you do display it clearly in the email? Is it a 10-step process to sign up to attend an event? Do they have to email someone and wait for a response to get details about the event? Anything you can do to reduce the effort on their part is a win for everyone. Our goal as communicators within the church is not only to get the message out to the right people, but to make sure those people understand what we’re saying. The simpler you can keep it, the more likely you are to succeed. NextWhat Happens When the Hype Runs Out?